LG409 Lasergrips are the ultimate laser sight for one of the finest concealed carry handguns available the Kimber Micro 9. Among their slimmest Lasergrip ever the LG409 features a rubber overmold front activation pad fused with durable polymer grips. 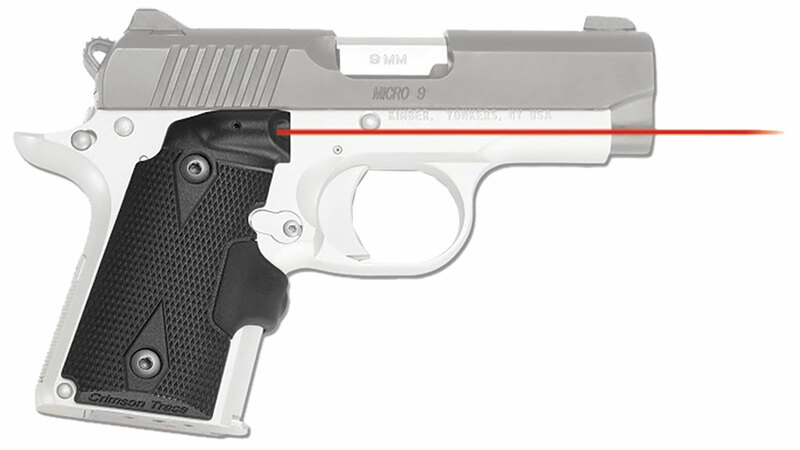 Userinstalled in minutes Lasergrips enhance the defensive capabilities of the compact Micro line of pistols. This model is specifically designed for Kimber Micro 9mm models.